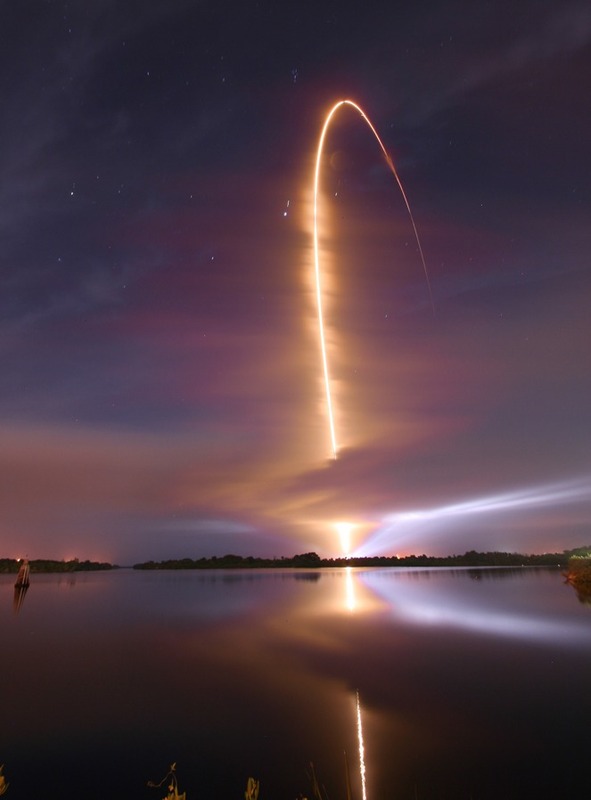 Explanation: This graceful arc traces an Atlas V rocket climbing through Thursday's early morning skies over Cape Canaveral Air Force Station in Florida, USA. Snug inside the rocket's Centaur upper stage were NASA's twin Radiation Belt Storm Probes (RBSP), now in separate orbits within planet Earth's Van Allen radiation belts. Reflected in the Turn Basin from a vantage point about 3 miles from Space Launch Complex 41, the scene was captured in a composite of two exposures. One highlights the dramatic play of launch pad lighting, clouds, and sky. 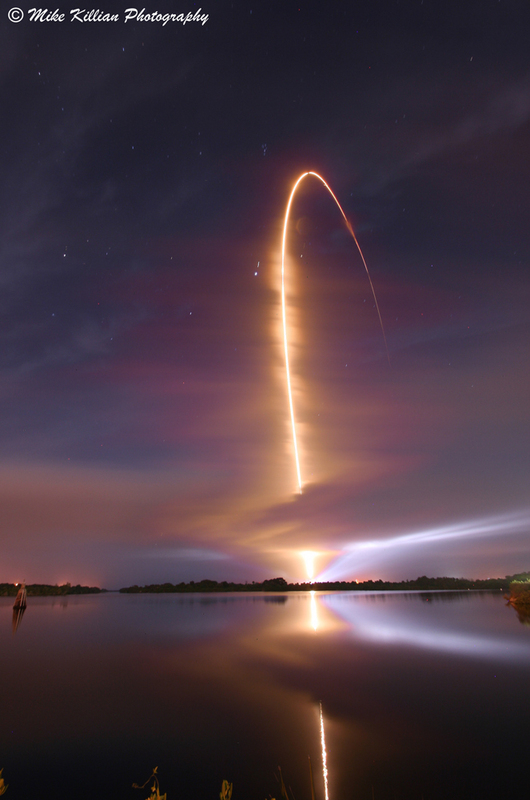 A subsequent 3 minute long exposure records the rocket's fiery trail. While most spacecraft try to avoid the radiation belts, named for their discoverer James Van Allen, RBSP's mission will be to explore their dynamic and harsh conditions.